(SPOT.ph) The Sunnies brand seems to be everywhere these days, and there's no stopping them from exploring exciting opportunities. 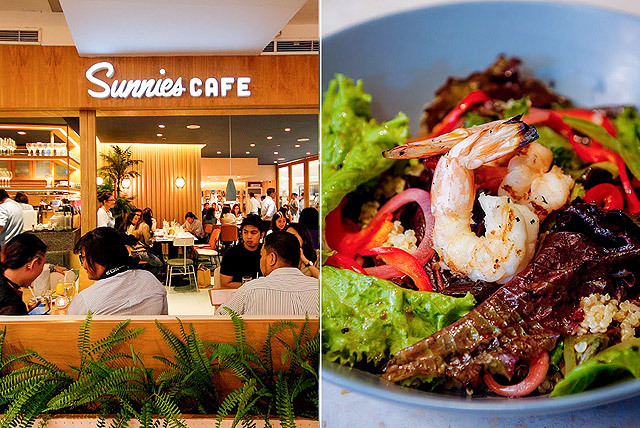 The new Sunnies Cafe branch in Megamall stays consistent with the first one in Bonifacio Global City, with its slightly retro feel and beachside vibe. 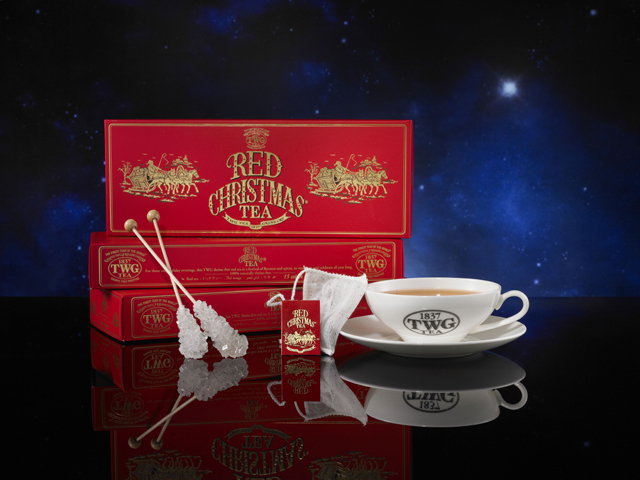 But people still can't help but wonder: Why did a fashion brand decide to open a café? For the Sunnies team, namely Martine Cajucom, Bea Soriano-Dee, Eric Dee Jr., and Georgina Wilson, beyond fashion and style, Sunnies is a lifestyle that needs to be experienced. 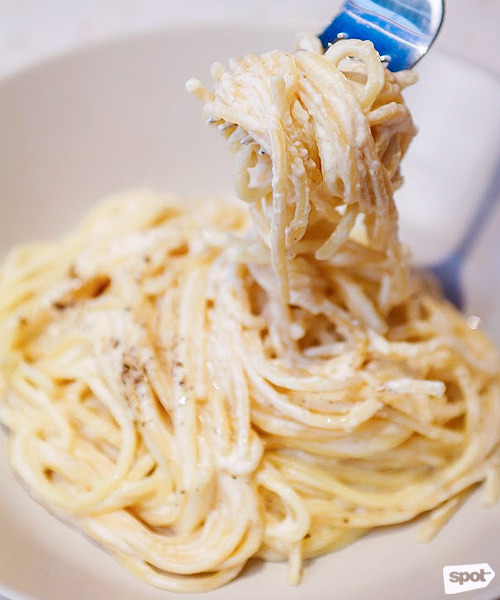 And part of this experience is good comfort food that's both laidback and chic. Everything that goes into the Sunnies Cafe experience has been carefully curated by the team, from the interiors to the menu. 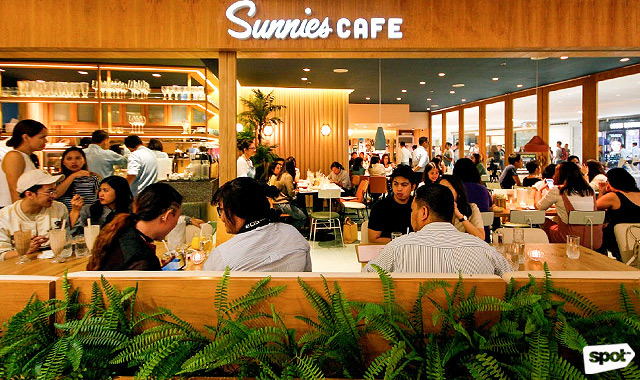 Unlike their BGC branch, the second Sunnies Cafe is located indoors, but still has the same So-Cal vibe Sunnies is known for. Faux palm plants welcome you to a brightly-lit space with floor-to-ceiling glass panels, providing the perfect lighting for Instagram snaps. 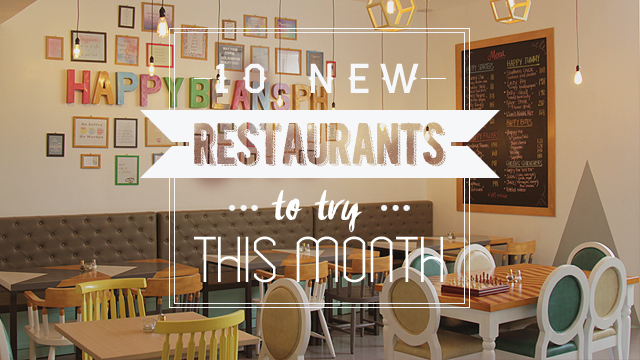 Wooden interiors give the café a warm and cozy ambience, while an eye-catching wall of hard-to-find fashion and lifestyle magazines will make it difficult to leave for hours. 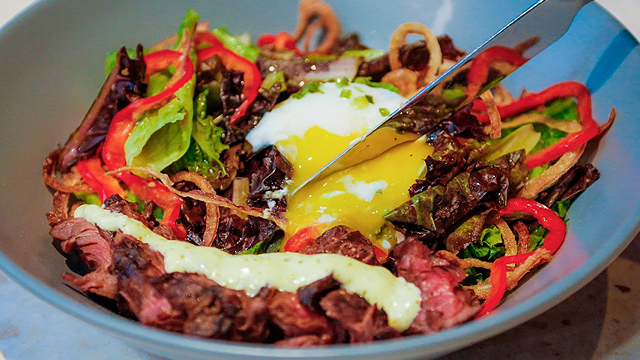 Sunnies Cafe has you covered from brunch to dinner to after-work cocktails. 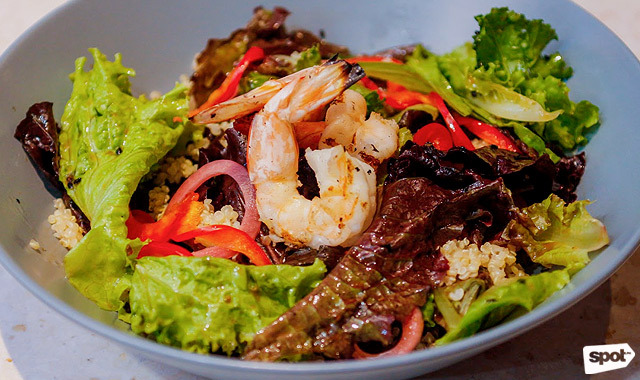 “Each of the dishes has a special connection to us,” shares Georgina, and with the Sunnies team wanting a little bit of everything for everyone, the menu is pretty extensive. The Crispy Tacos (P270) is still a popular choice, and for good reason. 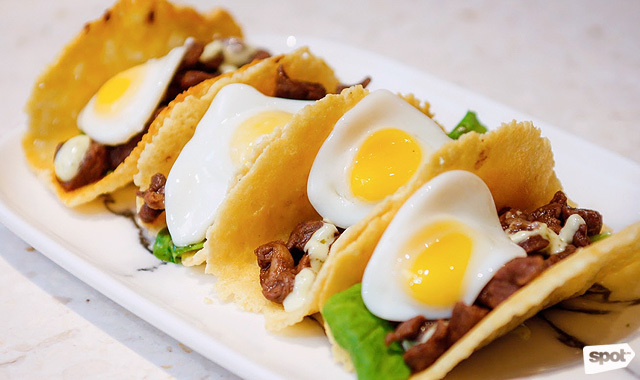 These mini tacos have asada steak, cilantro cream sauce, and tiny quail egg sunny side ups that look absolutely adorable, all encased in a parmesan taco shell that gives everything a nice salty crunch. 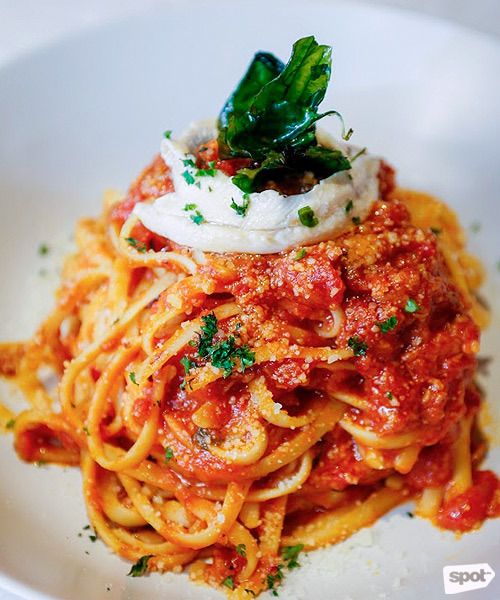 The White Truffle Cream (P340), which is spaghetti with grana padano cheese, truffle, and parmesan, is rich and tastes like the perfect indulgence, while the Spicy Pomodoro (P270) with mixed seafood and anchovies has just the right amount of kick, balanced out with a hint of citrus. 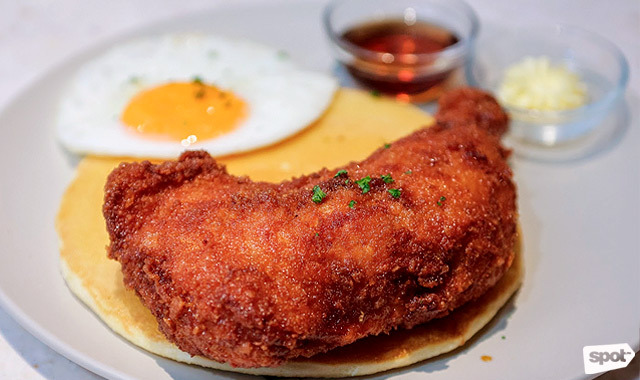 Chicken and Pancake (P260), a hefty serving of country-style fried chicken marinated in honey-soy sauce paired with a fluffy ricotta pancake, partly comes from a beloved family tradition. Eric "Cheeno" Dee Sr., president of Foodee Global Concepts (also of Todd English, Pound, Mesa, and Tim Ho Wan fame) whispers that the chicken is his grandmother's recipe, one they've had at family dinners and reincarnated in other restaurant brands several times over. 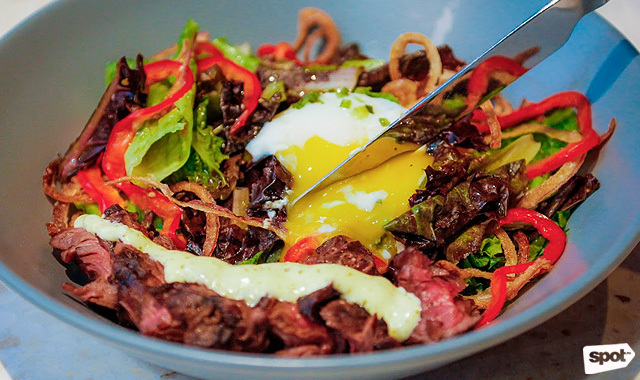 If everything so far sounds too heavy, you can take comfort in one of their filling and flavorful salads, like the Shrimp Kale Bowl (P260) or Steak Lime (P270). 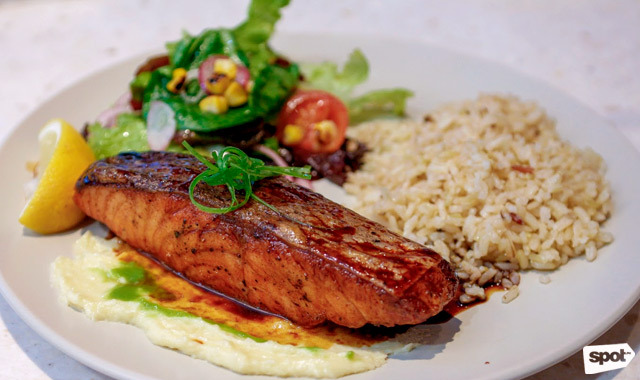 But then again, one bite won't be enough to fully appreciate the Pan-Seared Miso Salmon (P470), miso-glazed fish served with salad and scallion rice, since you'll probably want to wipe the whole plate clean. 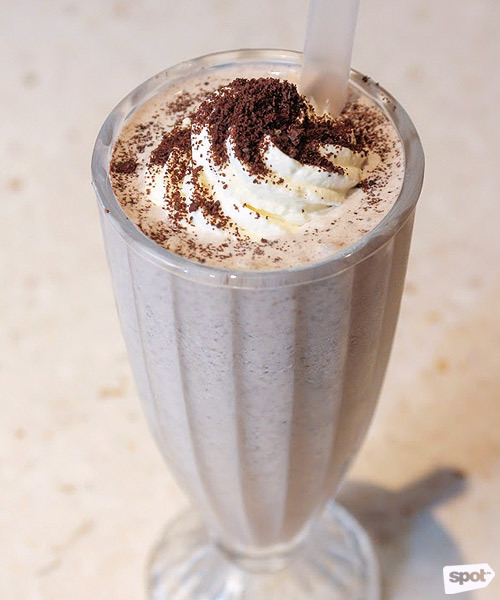 Definitely leave room for dessert—and some milkshakes. 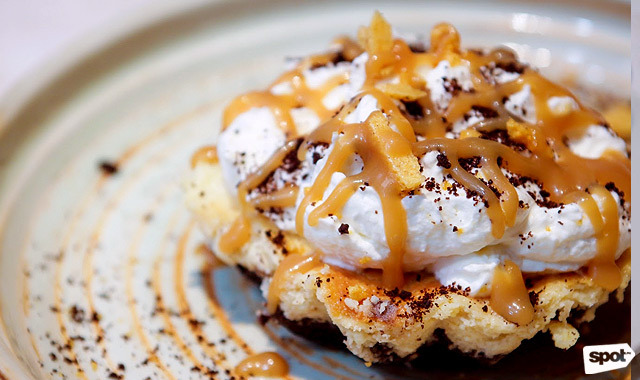 The Black Bottom Banana Cream Pie (P340) is decadent with an Oreo crusted pie, fresh bananas and cream, then topped with whipped cream and covered with chocolate bits and caramel sauce. The Sunnies Funfetti (P290) will make you feel like a kid getting a special treat. 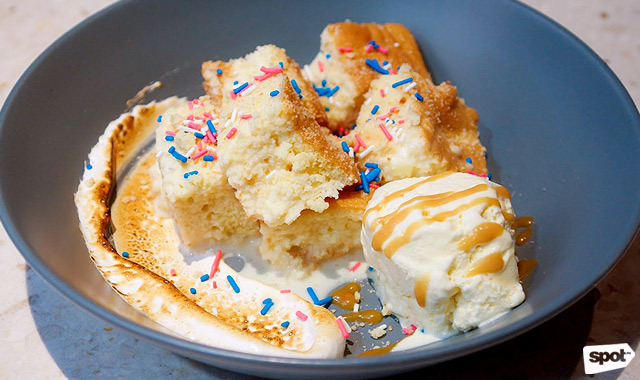 It's a bowl of tres leches cake deliciously soaked in milk, topped with whipped cream, and vanilla bourbon ice cream, then generously covered in colorful candy sprinkles. Fun and sweet—and also IG-worthy. You won't be able to resist the Salted Caramelsutra (P190), made with salted caramel ice cream, crushed grahams, whipped cream, and malted milk; and the Kimye (P190), which has cookies and cream ice cream, nutella, crushed oreos, whipped cream, and malted milk. 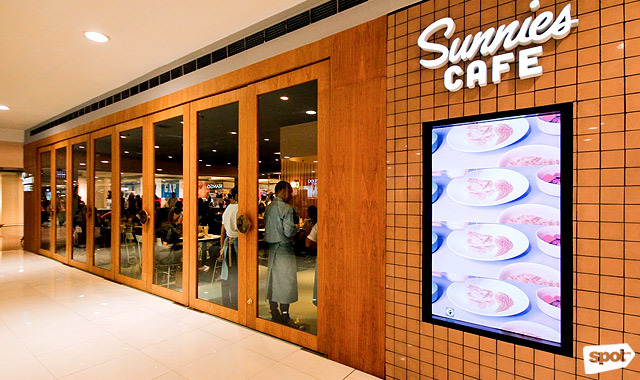 Sunnies Cafe offers plenty of comfort for your tummy in a chic space. 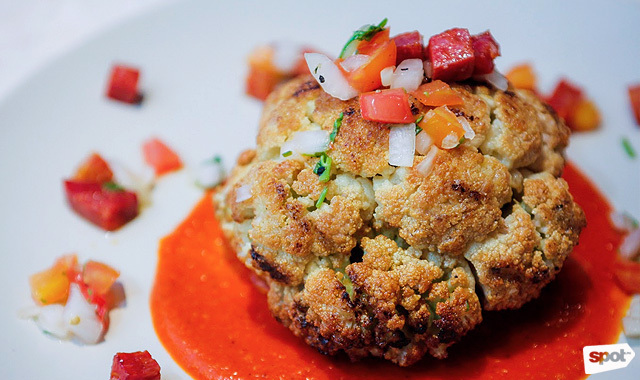 After all, that's what the Sunnies brand is all about: bringing the fun and fashionable Southern California lifestyle to everyone, whether through their specs or modern comfort food.